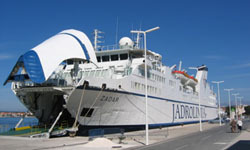 As the travel is concerned our suggestion is arrive to Silba via ZADAR. Thera are everyday connections from Zadar to Silba during all year. 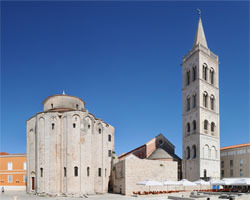 Zadar is also a very beautiful town itself, so if possible arrive early and at least take a 1-2h walk through the old city centre. City centre is located immediately next to the port in which You will take Catamaran to Silba. 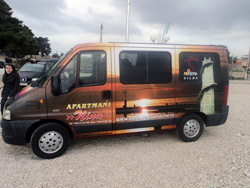 The trip from Zadar to Silba takes 1,5h and it costs around 4 Euro/person. Regular domestic bus lines and international bus lines connect Zadar with Austria, Italy, Hungary, France, Germany, Bosnia and Hercegovina. 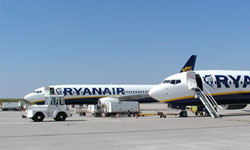 Regular travel and ferry lines to Italian port of Ancona (Ancona, Pescara and Bari from Split and Dubrovnik). Daily ferry line connects Rijeka and Split during whole year. 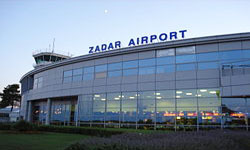 Reception on Zadar and Pula airport. 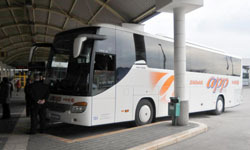 Shuttle transfer to city centre or catamaran/ferry port with comfortable mini van. 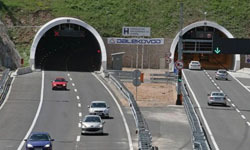 Safe park place/garage in Zadar and Pula is possible to arrange. It includes a full service. A person waits for You in port, takes You to the parking place, You park the car and then the person drives You back to the port. When You will return from Silba, the same person waits for You in the port.